This model is 173 cm and wears a size S. Their chest measures 81 cm and the waist 58 cm. 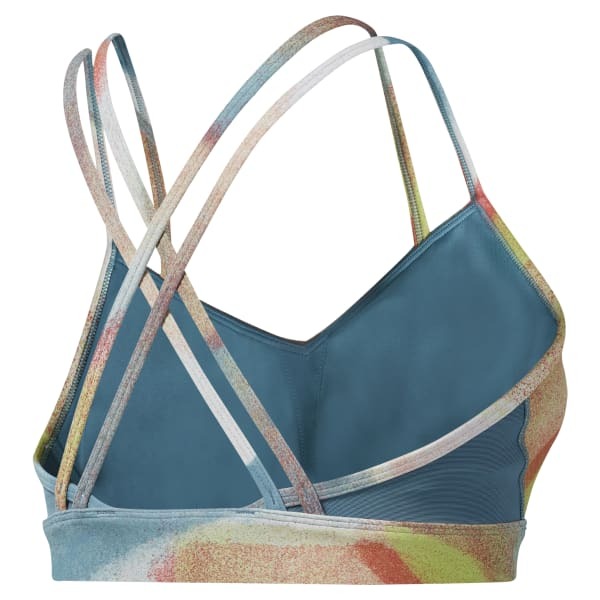 Inspired by the type of yoga that combines color, sound and scent with movement, this sports bra brings modern style to your daily practice. Best for medium-intensity workouts, it's made with sweat-wicking fabric and features mesh panels for increased breathability.